Nicole Brewer — Ten. Years. 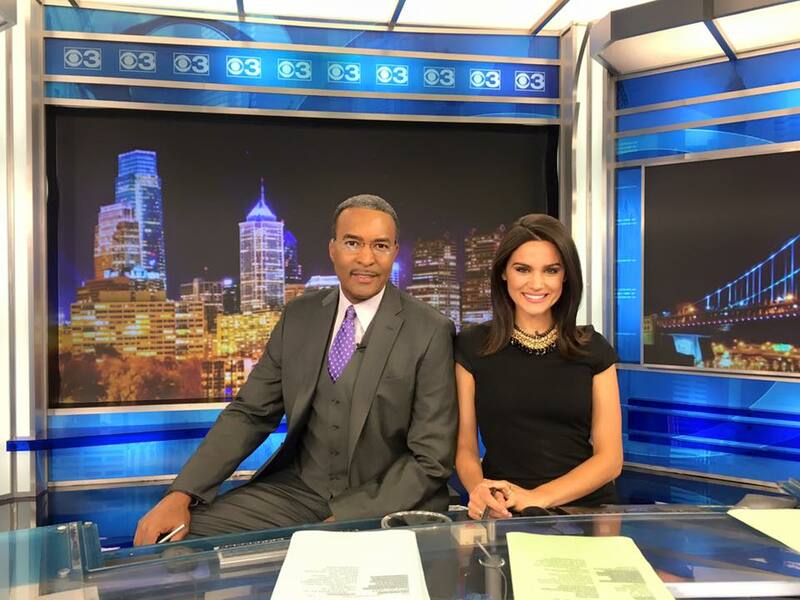 This past month, I celebrated ten years with CBS3. Ten. Years. I was 24 when I walked the halls for the very first time, 26 when I swiped my badge as a married woman and 30 when I achieved my dream of anchoring in my hometown. At 31, my son’s birth was announced on the morning news and at 33, I told evening news viewers I was expecting again. So, yeah. A lot has happened in ten years. Personally and professionally. For those who aren’t aware, I started my career at CBS3 as a “digital journalist” -- at a time when TV stations didn’t put much stock in online presence or social media following. With a consumer camcorder, I shot my own stories and stand ups for the web and felt completely out of place in a newsroom filled with veteran reporters and anchors, who were household names. If I'm being honest, it was a never ending buffet of humble pie. But, I worked hard and learned from the best. I always made it my mission to get better. Less than a year later, I was able to parlay that position into my own segment on the CW’s 10PM news. They called it “What’s Brewing.” It stuck. A couple years later, I joined the morning team on both CBS3/CW, doing a daily segment called Morning Chatter. I contributed feature stories, but eventually got a shot at general assignment reporting. I finally felt like I belonged, but the work was demanding. I was covering much harder stories and handling breaking news coverage. Oh, and I was waking up at 2AM every morning. From there, I was promoted to weekend news anchor and eventually filled in for Ukee Washington on the weekday morning show when he switched to nightside. For a pretty good stretch, I was anchoring alongside one of my best friends, Erika von Tiehl. And at one point, it was an all-female newscast! It was wonderful while it lasted. When they re-vamped the morning show, I went nightside, first doing “Good Question,” then "Talker" stories for the 11PM news. I was also tasked with filling in for both evening anchors. Some days the work overflowed, but when you work alongside one of the best photographer/editors in the business, everything is manageable. And being older (and hopefully wiser) helps. It’s a funny thing when you look around the newsroom and realize you’re one of the veterans. So, how did it happen? Little by little over the past ten years.